On November 8th this year, the United States will elect its 45th president. The two main parties, the Republicans and the Democrats, both seem to have decided on a nominee. Donald Trump, a billionaire businessman from Brooklyn, will stand as the republican candidate. His adversary will, with the greatest certainty, be Hillary Clinton, even if Bernie Sanders has vowed to keep fighting until the convention on July 25th. Compared to other years, this campaigning process stands out. Less than a year ago, Jeb Bush, the son and brother of the two former Bush presidents, was generally conceived to be the presumptive republican nominee. However, just like the rest of the establishment republicans, he got caught in a maelstrom of right wing populism, and was forced to drop out quite early. On the other side, Hillary Clinton lead the polls by enormous margins when the race started. While she’s still the candidate with the most votes, her lead has shrunk from insurmountable to minimal. Bernie Sanders, the man responsible for Hillary’s declining numbers, was ruled out for his socialist sympathies when he launched his campaign. He now holds sway over young voters, and dominates the internet in an impressive fashion. But why is it that streams of populism, both to the left and right, have gained such strength? 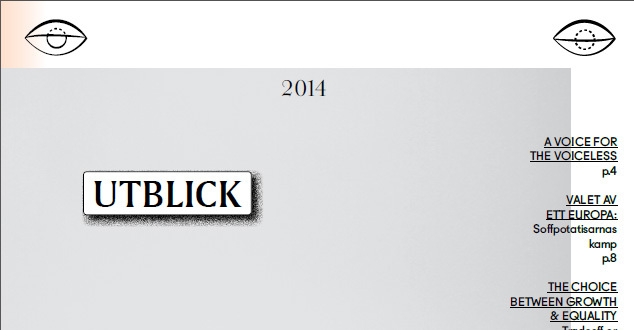 This issue of Utblick will attempt to pinpoint some of the reasons behind this election’s ideological irregularities, as well as offer candidate related debate and information about the US and its electoral system. We sincerely hope that you will find the issue informative, interesting, diverse and enlightening, and that you will enjoy reading it is as much as we’ve enjoyed making it. New issue of Utblick: Democracy – Out of Fashion? Democracy is often spoken of as the best form of governance that exists. While this may be true, democracy is by no means a flawless alternative. We’ve seen time and time again how democratic countries fall into ruin as a result of the people’s right to determine the form of state. The same people who are supposedly guided by egoistic incentives and discontent. It happened in Germany in the 1920s and 30s, then again in Serbia in the 1990s, and it’s happening again all across the democratic world. On the other hand, no constitution has ever proven as successful in so many instances as democracy has, begging the question ‘is there even a better alternative, or is democracy the best we’re ever going to have? 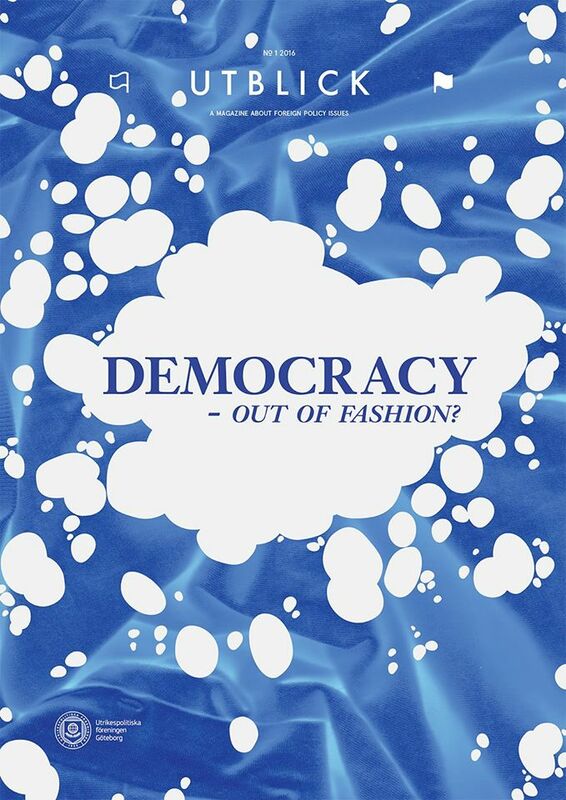 “Democracy – Out of Fashion?” offers a series of diverse analyses of countries where democracy is being challenged or is inefficient, as well as discussions regarding the very idea of what democracy is. 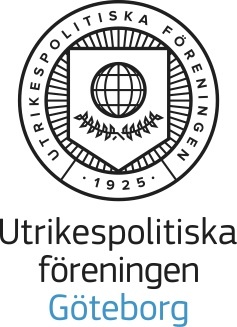 Posted on 16.04.07 18.11.28 Author Mikael HemlinCategories ARCHIVE: Utblick magazines, Featured, Politics, UtblickLeave a comment on New issue of Utblick: Democracy – Out of Fashion? New issue of Utblick: Africa?, out now! Africa, this big continent on the rise, is home to more than a billion people in over 50 countries with diverse cultural and political structures. Many African countries today are said to be at the forefront of economic and social development, making the continent a potential challenger to the world order of today and tomorrow. But still, these glimpses of progress seem to cover a very small part of what media in general reports. In this last issue of 2015 we dwelve into the past and present of the continent. Join our discussion by reading our latest articles, essays and interviews, aiming to give an alternative point of view than the mainstream media! 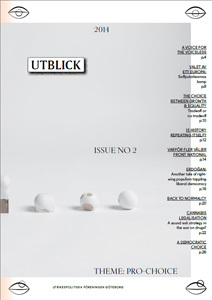 You can look for this issue of Utblick at coffee shops, libraries, museums, movie theatres and university faculties all across Göteborg, or read it online here! Posted on 16.01.27 18.11.28 Author Emil ZawadzkiCategories ARCHIVE: Utblick magazines, Culture, Economy, Featured, PoliticsLeave a comment on New issue of Utblick: Africa?, out now! The latest issue of Utblick focuses on global growth, by addressing problems of responsibility and growth in relation to morality and economy (both on a local and global level). Topics we discuss include trade agreements, urban development, corporate responsibility, and even air pollution, medical resources and overfishing. Join our discussion by reading our latest articles, interviews and poems! 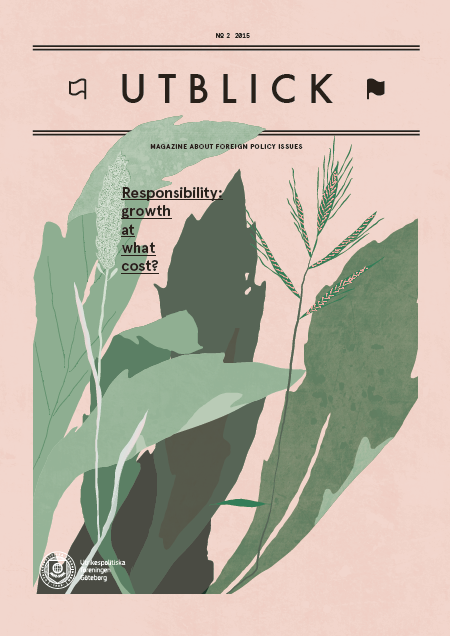 You can look for this issue of Utblick at coffee shops, libraries and university faculties all across Göteborg, or read it online here! The latest issue of Utblick tackles the hot topic of freedom of speech! 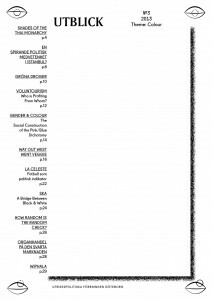 We are proud to present articles ranging from the Charlie Hebdo massacre’s effects on French society, to London’s public transport workers speaking their minds via protest, as well as a reflection on traditional journalism’s challenges in the 21st century. 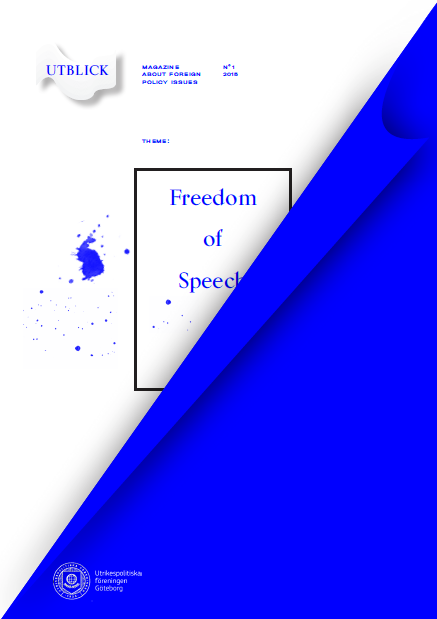 Throughout the magazine, you can find poetry that we hope will add a personal interpretation to these complex discussions on freedom, censorship and the right to speak your mind. 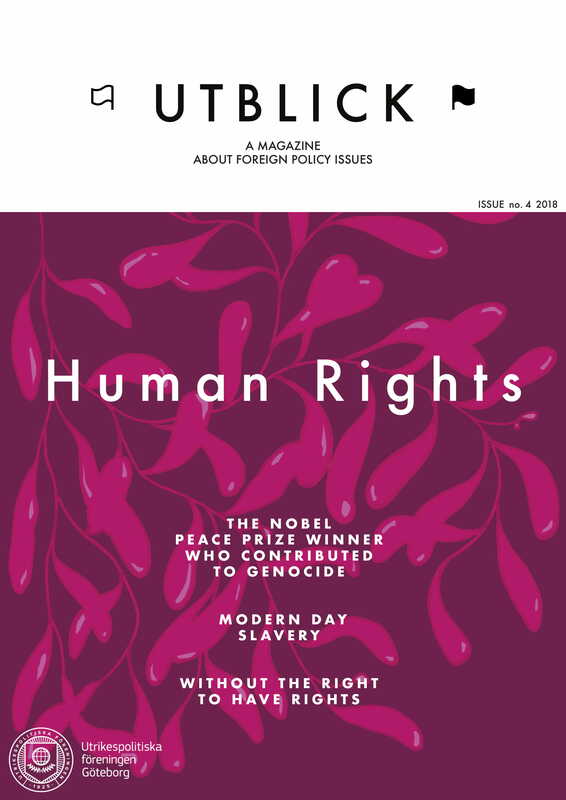 You can look for this issue of Utblick at coffee shops, libraries and university faculties all across Göteborg, or read it online here. 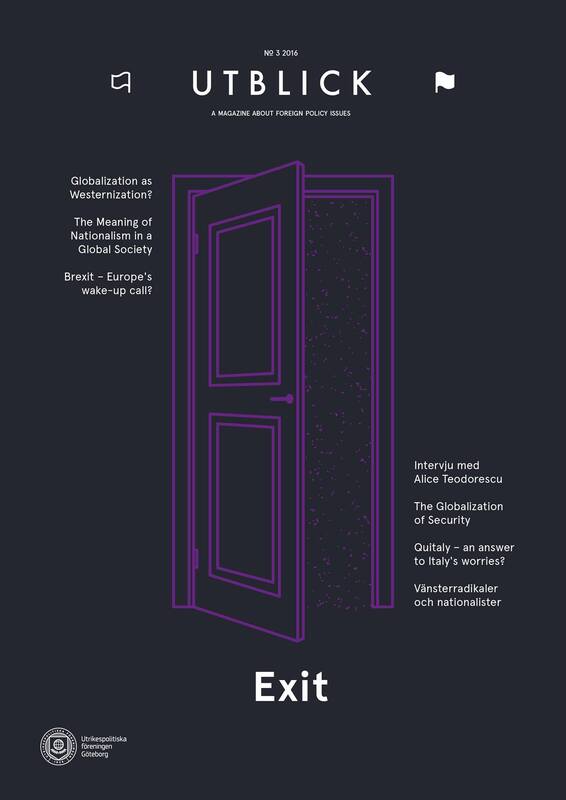 In the latest issue of Utblick: Read about the American pro-life movement, the EU scepticism amidst the upcoming election, and find out why more and more people support Front National in France. Furthermore, you’ll be thoroughly briefed on the right wing populism of Turkey’s PM Erdo?an and his AK party, the issue of cannabis legalisation and much much more. 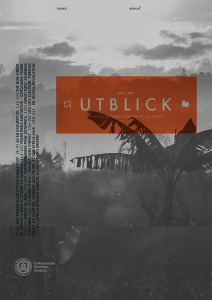 The latest issue of Utblick offers reports on issues ranging from weather, rain and reign, as well as non-reign. 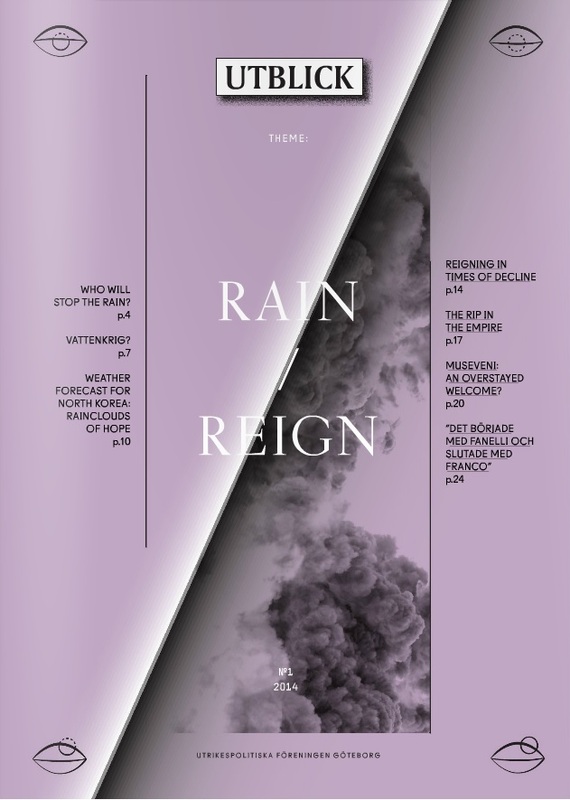 Electronic rain over the DPRK, Musevenis Ugandan reign, water shortage in Israel and Palestine, disastrous rain, as well as the partial abscense of reign in Catalonia. 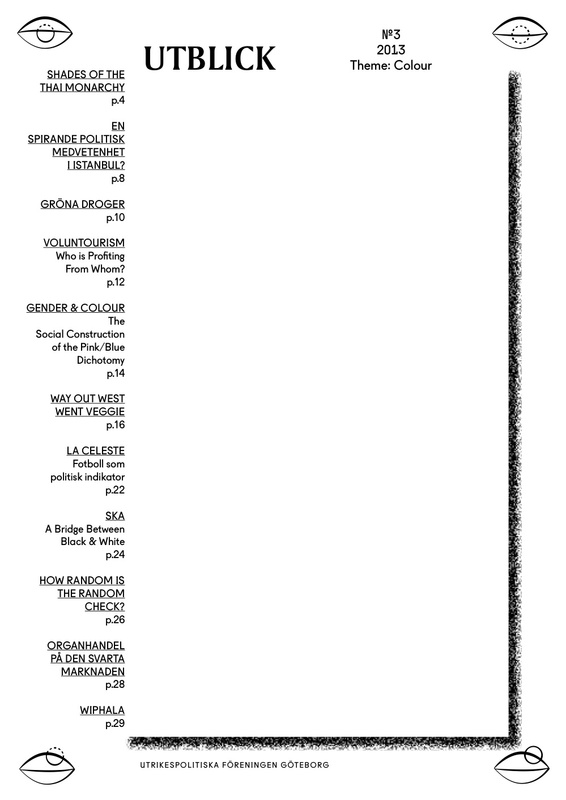 The last issue of 2013 covers different types of gaps: gaps of power and within the political spectrum, gaps between sexes and within cities, as well as the literally palpable thigh gap. 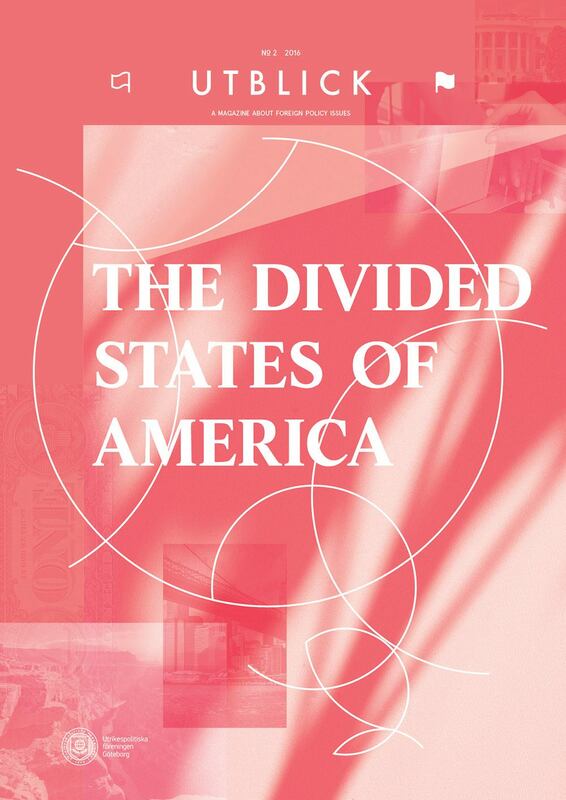 You could also read about how Erdogan’s Turkey widens the gap to Atatürk’s ideals, or about how widening gaps within nations relate to narrowing gaps between nations. Even more topics on the theme are waiting to be read, don’t miss it! As always, you can find the magazine at coffee shops, libraries and university institutions all over Göteborg, or read it online here*. With this issue, Jenni S. Lindberg and Jonas Eriksson resign from our posts as Editors-in-Chief, and welcome Utblick’s new Editors Aiysha Varraich and Josef Svantesson. Thanks for us, and good luck! *The web version includes some minor corrections. 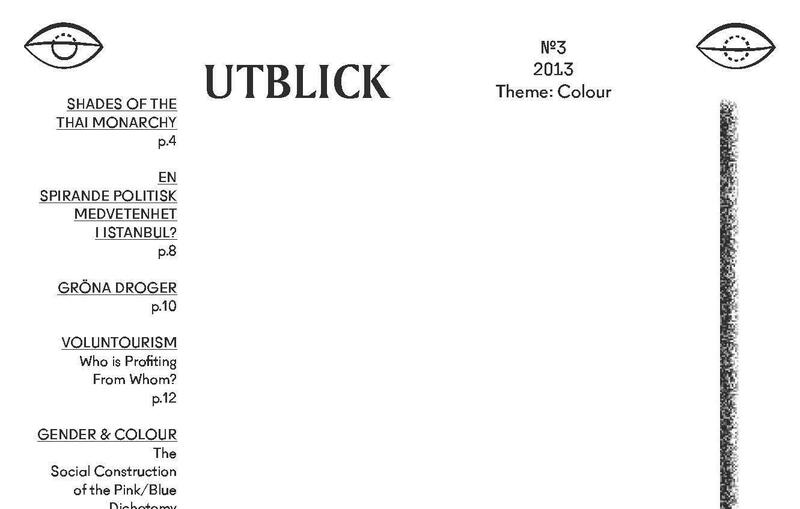 The latest issue of Utblick emanates from the significance of colours. Colours are assigned different meanings over time and place, and are often a powerful symbol in its simplicity. The different colours of Wiphala, an ancient flag from the Andes, used to represent cultural heritage but is upcoming as a symbol for resistance. In Thailand, every weekday is assigned a colour. Here, the king has a peculiar trendsetting role: as he was born on a yellow Monday, the public is generally seen wearing yellow clothing on Mondays to manifest their royal support. In Gothenburg, Way out West festival took the “green” stance to stop selling any meat, stirring up controversy, whereas the ecological outlook is rather dim when it comes to pharmaceutical industries. 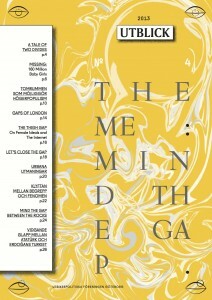 Read about these issues and much more in Utblick #3 2013. You’ll find it in print at cafés, libraries and university institutions, or download the digital version from here. Enjoy reading!